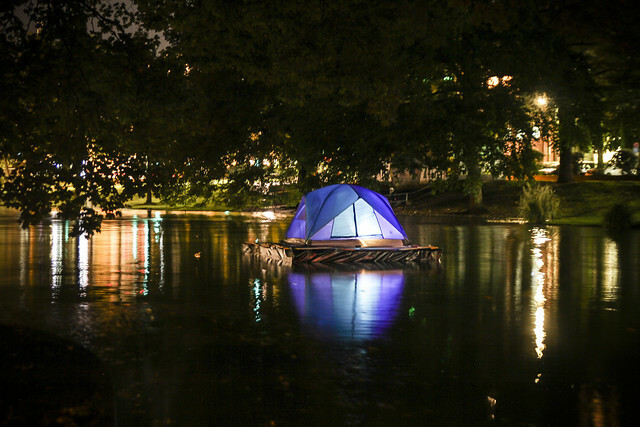 Exodus is a floating platform made of recycled materials which resembles a survivor’s raft. It is located on a lake in a park in central Cologne. This area is populated by homeless people, refugees and punks. Location around Ebertplatz and this park is seen as a problematic area for the city of Cologne. 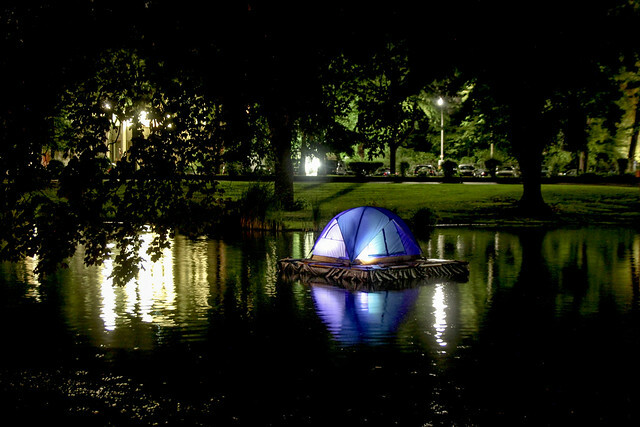 Exodus DIY raft with a tent on it looks like 21st century urban Robinson Crusoe island. 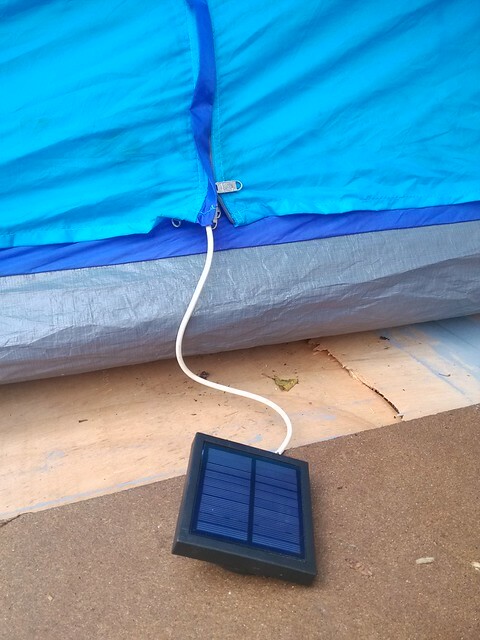 Tent starts to glow with the sunset as there are solar panel powered lights with sensors in it. 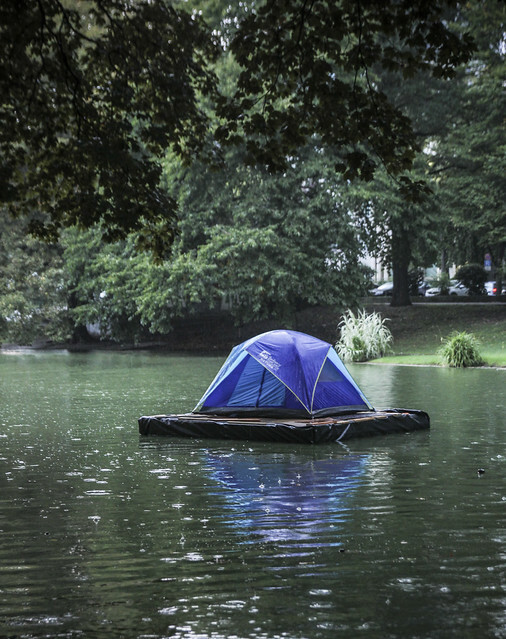 Installation implies situation that there is somebody living in the tent. Who? Nowadays urban nomads? Refugees looking for better place to live in? Or is it probable that many of us will have to move on floating platforms when “the big flood” comes thanks to environmental crisis?